Rail passengers will not be pleased to hear that the results of the RMT union ballot to strike over the Easter period came back with overwhelming support with over 77% of members voting yes to strike action over jobs and rail safety issues. RMT general secretary Bob Crow said: ”Nobody should be under any illusions about just how determined RMT members are to win this dispute and to stop this reckless gamble with rail safety. Nearly 150 MPs have signed an Early Day Motion opposing Network Rail’s cuts plans and have urged the Government to intervene to call a halt to this jobs carnage on the tracks. Next Friday, 19th March, an RMT executive will discuss its next move, the same day will also see the results of another strike ballot by National Rail signal workers amongst the same dispute which could lead to more disruption. An exact strike date has not yet formally been announced but RMT are legally required to give seven days’ notice. 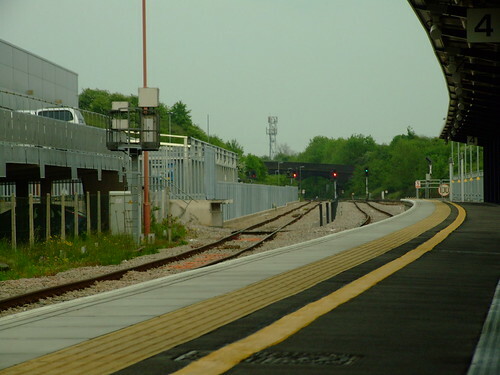 Network Rail maintain that they have sufficient contingency plans for if the strikes go ahead, however many in the industry seem skeptical, advising travellers to have their own contingency plans if they wish to travel over the Easter period. This entry was posted on March 12, 2010, 6:34 pm and is filed under Holiday advice, News, Rail, Transport. You can follow any responses to this entry through RSS 2.0. You can leave a response, or trackback from your own site.